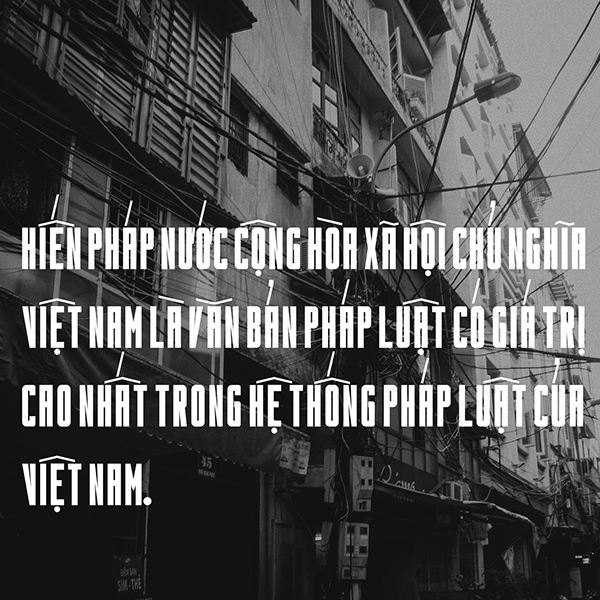 Cotdien Typeface (Vietnamese: Cột điện, English: Power pole) is a typeface created by Manh Nguyen, a Vietnam-based type designer who is in love with hand-drawn classic panels and propaganda banners in Vietnam from the very last century and try to bring the sense of a drawn one into his work. 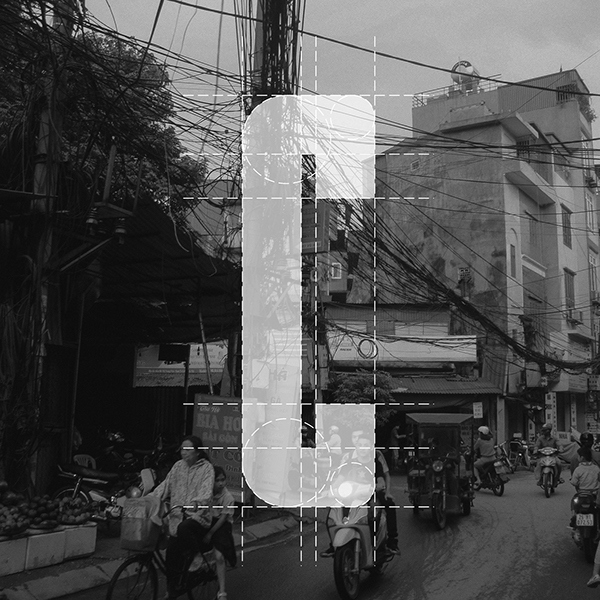 In the other hand, the typeface is also affected by the presence of "power poles" which is called humorously "non-leaves energy-producing trees" growing unnecessarily but bringing a tremendous amount of cables on themselves around street corners, therefore alongside with timeflow, the power poles become more and more iconic and cannot be ignored in several Vietnam poets' and artist' works in nearly 100 years til' now. Cotdien Typeface is a FREE condensed geometric retro sans serif with curved corners and thick stroke; hence, it create a significant presence on titles of magazines' articles, branding logos, etc,.. with a very vintage beauty and an oppositely aesthetic modern impression created by Manh's own experience on street photography, focused on the poles. 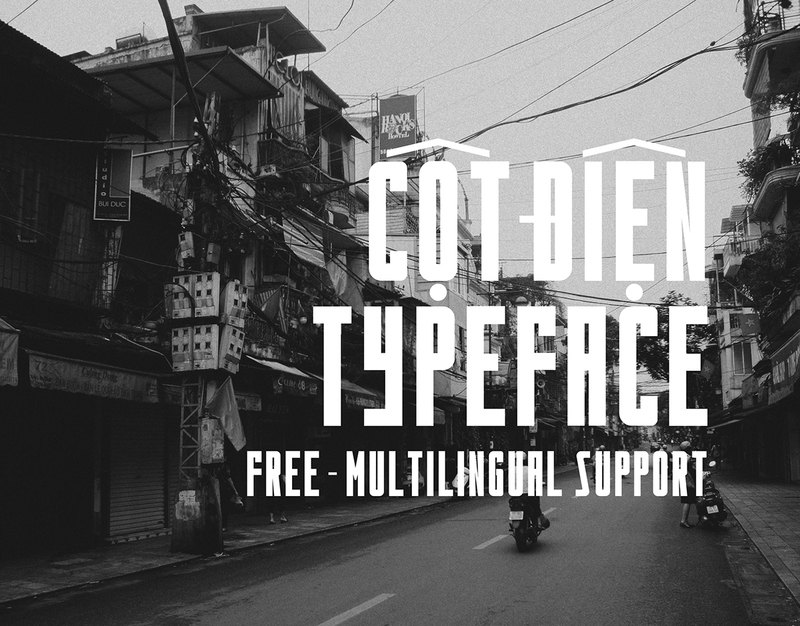 Cotdien Typeface is now free for a full version of full multilingual support and Vietnamese diacritical mark supports will go out, so take the time and enjoy this free font. You guys could find a link to download this retro font in the bottom of this project page after pressing Like button as appreciation to the work. 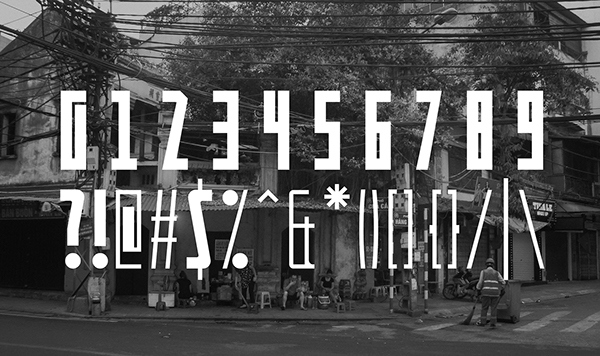 Numerals, punctuation marks, brackets and others symbols. Cotdien Typeface supports almost all Unicode symbols. 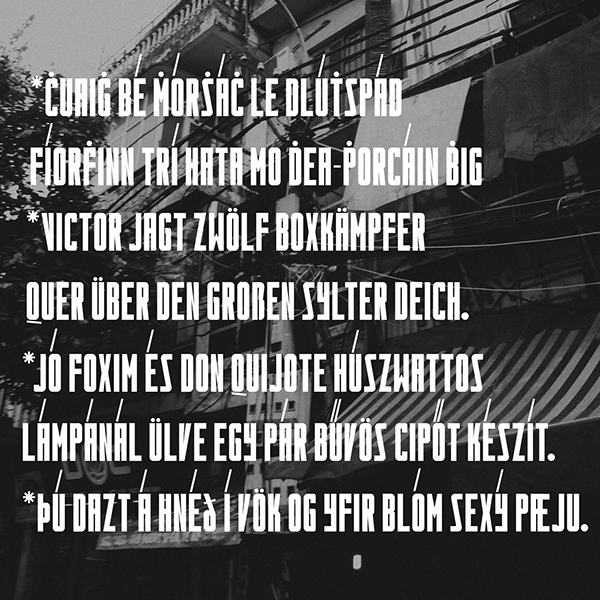 Other languages' pangrams. 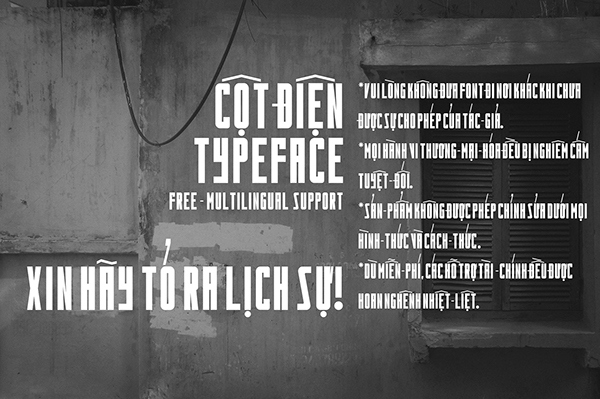 Cotdien Typeface fully supports up to 10 languages. 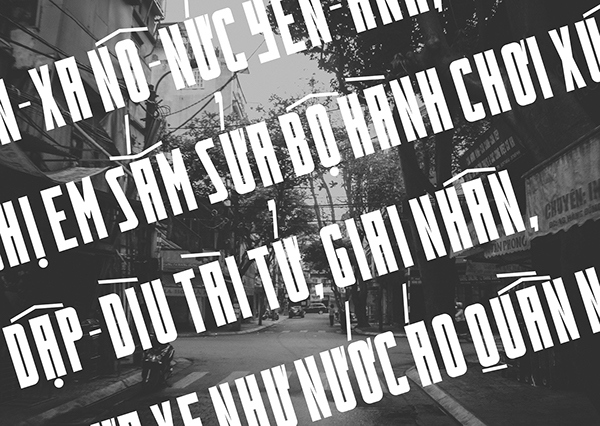 Regulations of using Cotdien Typeface in Vietnamese. NOTE: To get rid of illegal infringement, these regulations must be approved, otherwise use of this font is considered as "copyright infingement"
- The font cannot be moved to any cloud sources, websites or shared publicly and/or privately without my permission and linked back to my project. - Selling this font without my acceptance is illegal and prohibited. Otherwised, please give me credit if used for further purposes. - The font cannot be edited by any software and anybody. Failure to accept this rule may lead to severe infringement. 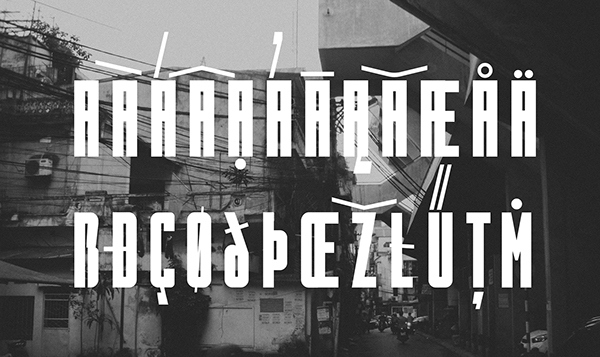 - Although this font is free, any donation would be appreciated kindly and sincerely. BEFORE DOWNLOAD THIS FONT, PLEASE MAKE SURE YOU LIKED THIS PROJECT AS APPRECIATION TO THE EFFORT OF THE DESIGNER (BY PRESSING BLUE LIKE BUTTON BELOW) AND IF YOU CAN, SHARING IS CARING. 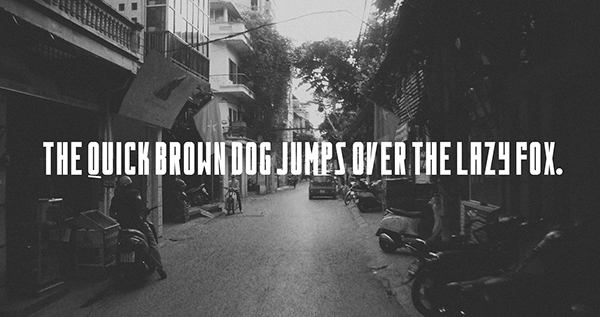 Cotdien Typeface is a free typeface created by Manh Nguyen, a Vietnam-based type designer. 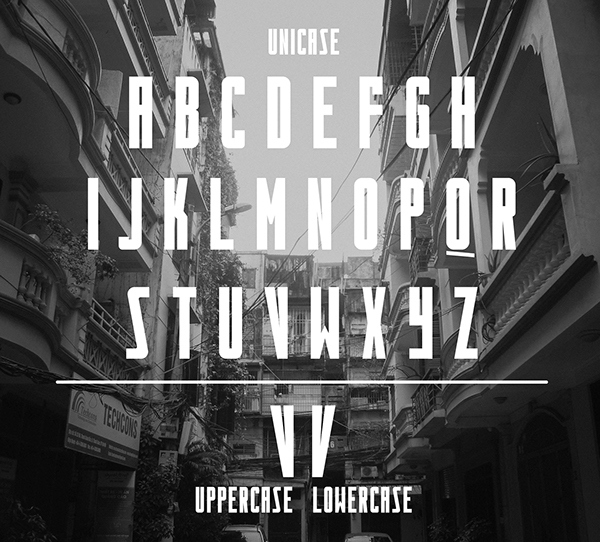 Take a look on this project and download this FREE font.